Accurately assessing the grade and condition of a vintage toy is very subjective – and very confusing for those of you not familiar with the many individual niche markets that fall within the broad category of ‘vintage toys’. 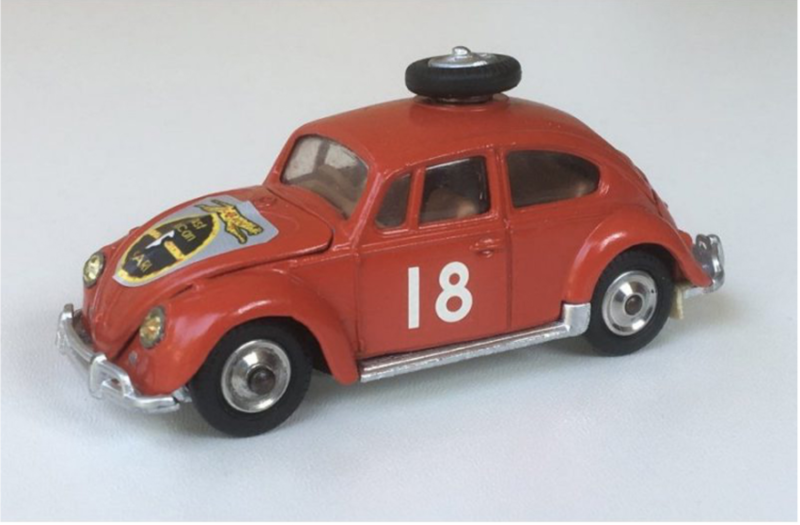 Every seller, website and auction house seem to have their own method of grading, and every individual type of item seems to have it’s own unique grading system – all of which just makes the exercise of buying a vintage model car, collectable figure or antique game that much more difficult. 7.0 – 8.0 – Very good condition for its age. Minor wear, marks etc. but nothing very serious. A very good example. 6.0 – 7.0 – Good, used condition. Showing some signs of use but still in better than average condition. 5.0 – 6.0 – Average condition for its age and type of item. 1.0 -2.0 – Poor condition with multiple defects, major wear etc. We rarely sell items in this condition, the only exceptions being highly sought-after vintage toys that are very rare and/or old. Although the grading system is a valuable tool for giving a quick overview of the condition, on the relevant product page we always give a detailed description of the condition of the item and list all known defects, and include detailed photographs. We offer a money-back guarantee on every vintage item we sell. We have been selling vintage toys to some of our regular customers for over 20 years, so you can be sure that every vintage toy you see for sale on our website will have been carefully checked and accurately described.